Get the latest information, upcoming events, updates, and more. Don't forget to subscribe to our list. Just a reminder that Achievement Night Is coming up fast. The information is below. Just a reminder to subscribe to our electronic newsletter to stay up to date. All the happenings for San Bernardino County 4-H! See what's happening in San Bernardino 4-H.
Find all of the happenings for San Bernardino County 4-H inside! Read all about the happenings in San Bernardino County 4-H! 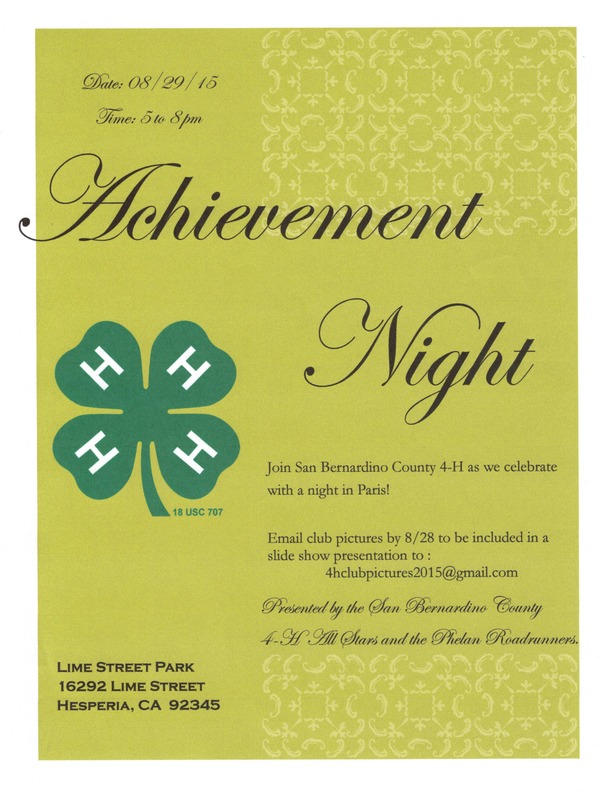 Here is what's happening in San Bernardino County 4-H! 4-H News, events and what's happening in San Bernardino County!